Placebo possesses a plethora of psionic abilities including telepathy, telekinesis, mind control and more. She can also fly and breathe and exist in harsh environments such as outer space and underwater through the use of psionic force-fields. My encounter with Hosho also provided me with the answer to a question of which I’d been wondering since I was a little girl: who is my mother? I was only able to remain linked to Hosho for a moment, but in that split second I was briefly connected to the other celestial everlifes in the universe. And that’s when I discovered that my mother was an everlife! She had lived on Earth for hundreds of millennia in the form of a human. She was the everlife tasked with watching over the triplos asteri deep within the planet’s core. After living in relative isolation for all those years, she finally allowed herself to fall in love with a man, my father, Leroy Fray. She took on the name Delilah Fray and within a few years they’d given birth to my sister, Charlotte, and then me. But when I was 2 years-old, she was called away by the everlife being Pathfinder, who informed her that the triplos asteri were being sought after and that two of them had already been collected by a single individual. For that reason her original purpose as monitor of the third star was no longer needed and it was time for her essence to be reunited with that of the Supreme Being, as had already happened with the other two everlifes that were serving as triplos monitors. My mother however, did not want to leave behind the life with Leroy she’d built. And thus she sought to investigate the individual who was collecting the stars. 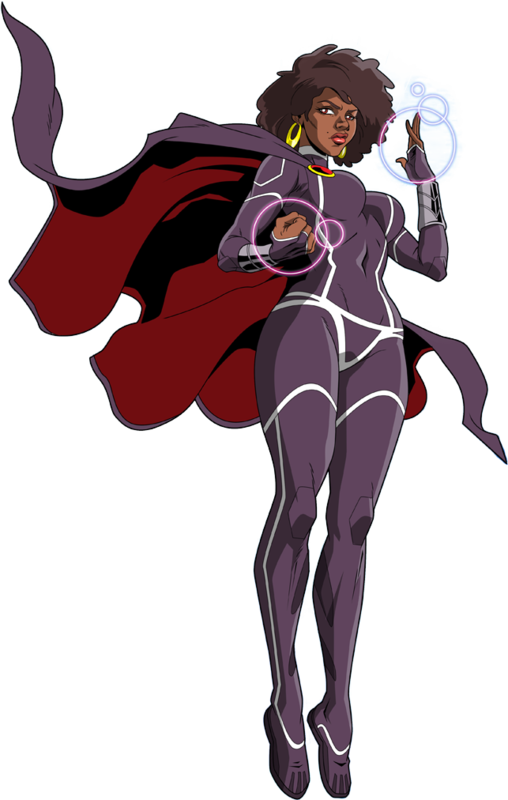 Though she was a powerful everlife, her power set did not include telepathy or omniscience, and so she’d have to physically travel the cosmos looking for clues as to who this individual was. It was a mission that would have taken years, maybe decades. The collector would surely discover the third star before she discovered who it was. She decided to contact the Galaxias Klykos Force, an intergalactic peacekeeping militia with far-reaching resources and influence. Great warriors from around the galaxy such as Sirvia Trexion, Lisya Trexion, Creexus Ioia, Gryxus Raxium, Zena Dragil and Nexus Catalyxia have served in the ranks of the GKF. And the greatest of them all was General Tixus Trexion. Delilah’s hopes came to fruition as the GKF did have intel that lead to the revelation of who the collector was – it was indeed Emperor Kako, who had also been leading his Tromokratesians in a war of attrition against the Unified Planets of the Sympan Treaty, of which the GKF served. Realizing that this tyrant should not be allowed to obtain the power of a god, my mother set out to do everything she could to stop him, which included taking the form of a Tromokratesian female an infiltrating Kako’s empire. It was a long sustained deep cover mission that almost got her destroyed on several occasions, but it helped the GKF obtain more intel and it also helped to shed celestial light on a series of events happening around Kako that were tilting the balance of the universe in a way that forced other everlifes like Pathfinder and Hosho to take measures to course correct the spacetime continuum. Hence Hosho’s message to Captain Noble. I gleaned all of that from my split-second psionic link up with the Zhibdean Master, but in my single-mindedness I made no effort to join the fight against Kako. Instead, I set out to do two things. First, I would find my mother and confront her. Not for leaving when she did; but for making the decision to build a loving and tight knit family, knowing she could be called away at any moment. My father missed her so much and my sister and I grew up wondering who and where she was, longing to know what had happened to her. Lashing out because none of us had any answers. There was no closure; no logic; no anything. I needed to know. And second, I wanted to find a central location in the cosmos and attempt to exert my influence over the entire multiverse simultaneously. To feel the thoughts and emotions of every single sentient being in existence all at once would be the ultimate rush and the ultimate accomplishment. I prepared to set out on my journey. But before I left I watched as Captain Noble’s quest to track down Ramses Hondo was interrupted by an encounter and subsequent entanglement with the Wormhole Witch Fata Morgana. Through a series of portals Captain Noble got lost in space and would not return to earth for many months. I also would not return for a while as I traversed the cosmos in search of Delilah Fray. I unleashed hundreds of psionic waves, but for some reason it was impossible for me to pinpoint her presence and location – most likely because of her celestial origins. In the process of searching, however, I was able to feel my power level surge, and after a couple of weeks of growing frustrated by my failure to find Delilah I decided it was time to chase my ultimate high. I found a small undiscovered area in the universe and hovered in space for about 5 days concentrating, and using the meditation techniques Flow had taught me I channeled the essences of the incredible beings I’d come into contact with – Black Jag, Liberty Star, Edgar Lockhart, Danzo, Musashi, Kharma Lucky, Captain Noble, Ramses Hondo, Sir Vellichor, Hosho and more… Then on that 6th day, within my mind I tapped into the deepest wellspring of psionic energy flowing through me and released a massive placebo effect tele-wave! I convulsed wildly as the entirety of the sentient essence in all of the universe suddenly coursed through me! Psionic explosions went off in my mind in rapid succession! Nearby stars and planets crumbled, and I was sure I would crumble as well…. But then everything went completely calm. And that’s when I realized that I had done it! I had linked up with every sentient being in the entire multiverse! Hundreds of trillions of voices echoed in my mind simultaneously, but somehow i could hear every last single one as clear as day. And just as I had anticipated, the feeling was beyond euphoric. The connection, however, was the easy part. The true challenge was influencing the thoughts and actions of everyone. I began to concentrate harder – the sheer force from the psionic energy I channeled was like trying to control the waves of a million oceans. And before long, I was no longer trying… I was doing! I had control… OF EVERYTHING! I couldn’t believe it! Every single sentient being in the multiverse was under the influence of my will! I immediately began playing, as I did not know how long my mind could withstand the psionic pressure. I didn’t want to do anything too drastic, as I’d learned from connecting with Hosho that altering reality too much would bring grave consequences. But I was eager to make some sort of impact. So went to work. The very first thing I did was simple… I made everyone look up at the same time! Ha! It was like they were looking right at me. It was amazing! After that I got a little more adventurous. I stopped a couple of wars; started a couple others. I influenced the elections of leadership on a planet in the Omega quadrant. I induced the knowledge of synthesis in the consciousness of a planet populated with nothing but single-cell organisms, leading them into an age of evolution. And I challenged Caïssa, the goddess of chess, to a match and she had no choice but to let me win! I tried to manipulate time – but since time has no sentience and no physical matter, I was unable to do so. However there were beings like The Traveler and Cynthia Quantic from earth who possessed the ability to traverse the space-time continuum, and so I spent a few moments bouncing around the timeline with them. Speaking of Cynthia Quantic and her ill-fated journey into the past with Dr. Jessica Beck, Shay Adama and over 100 others, I was even in control of the alternate Infiniverse Reality, which came into existence as a result of Dr. Beck’s time-traveling excursion. I had the intense experience of manipulating the balance of power between the heroic Captain Infinity and the vile Madam Zero. I’d like to think that it was something I placed in the mind of the captain that prompted him to listen to his sister Centuria and end his self-imposed exile; an act that would ultimately save the lives of hundreds of thousands of Infiniverse inhabitants. It was all very exhilarating… at first. But after a couple of hours of essentially playing god, i realized that I had indeed accomplished my ultimate goal, and to be honest it wasn’t that difficult achieve. There I was with the universe literally at my fingertips, and I was bored. Utterly, mind-numbingly bored. I spent the next couple of minutes using my psionic blanket over the cosmos to again search for my mother but my efforts were futile. And with that, I relinquished my control of everything and everyone and allowed the multiverse to continue operating under it’s own collection of free wills. The disappointment I felt in that moment was overwhelming, as I realized there was nothing left for me to achieve. Nothing left to conquer. The control I had longed for since the death of my father, was mine. But I still did not have my father. And there was nothing I could do to bring him back. I still wanted to find my mother – but the uncertain in knowing nothing of her whereabouts or what had happened to her was familiar and comfortable. I needed something to keep me going. That’s when I discovered psytanium. It was a psionic element unknown to pretty much anyone in the universe, as it was nearly transparent and almost impossible to detect without advanced technology and/or a powerful psionic mind. I had such a mind, so I was able to detect it and interact with it. From the moment I began manipulating it, it tried to counteract me and attempted to exert its own control over my mind. That kind of struggle was a sensation I’d never felt before. I wanted more! I spent the next couple of days syphoning all the psytanium I could find, collecting it into a ball in that undiscovered region of the universe I’d been inhabiting. The more I collected the more it bucked against me. It was thrilling. Before long I had collected enough psytanium that it was the size of Earth’s sun. Controlling it was becoming more and more difficult, and more exhilarating. And then, when it had grown to be ten times the size of the sun, something happened. The psytanium planet suddenly gained sentience! I was completely and utterly blown away by this development. I had essentially created a lifeform – something I didn’t realize I had the power to do. And if that wasn’t enough of a thrill, the psytanium monster, who I named Vis, challenged me to a game of chess. It truly was my child. So we lined up a few uninhabited planets, manipulated them into the shapes of 32 planet-sized pieces and the game was on! I took it easy during the first match, so it was no surprise that Vis won. The second match I tried a little harder, but still Vis won. Over the next few games I increased my effort, but still I failed to earn a victory. I became frustrated and channeled the mind of the goddess Caïssa for the next match. It was a brutal back and forth, but again I lost. My frustration grew and so did my desperation. In the next match, I unleashed a psionic wave and took control of Vis, influencing its first dozen moves. However, as the game wore on, I realized that it was in fact Vis that was controlling my moves! I unleashed a pulse that broke the psionic link and scolded the creature. Vis did not take kindly to that, and instead unleashed a psionic wave of it’s own. The wave was big enough to cover the multiverse and it was powerful enough to take control of every sentient being in existence! I immediately engaged another pulse to counteract Vis and fortunately I was able to sever its link with the galaxy’s population. But it kept trying to reestablish the psionic connections, forcing me to constantly counteract it. The whole situation was becoming strenuous and in that moment I decided the only way to stop Vis from taking over was to destroy it. But as I began to psionically tear it apart, it resisted me and I realized that the psytanium monster was just as strong as I was. We spent the next several hours struggling against one another, but it was a complete and utter stalemate. Then, as a last resort I prepared to set off a psi-bomb. I knew I risked permanently destroying my own mind, but it seemed like the only possible solution to defeat my opponent, and thus keep it from taking control of the galaxy. I lit the mental fuse and prepared to surrender my life. And after focusing my thoughts on my father for what I thought would be the last time, I set it off! My mind and the monster planet were both totally ripped apart!